“Awash with wit, lust and distraction…one of the most inventive Blues recordings ever made by a British artist”. 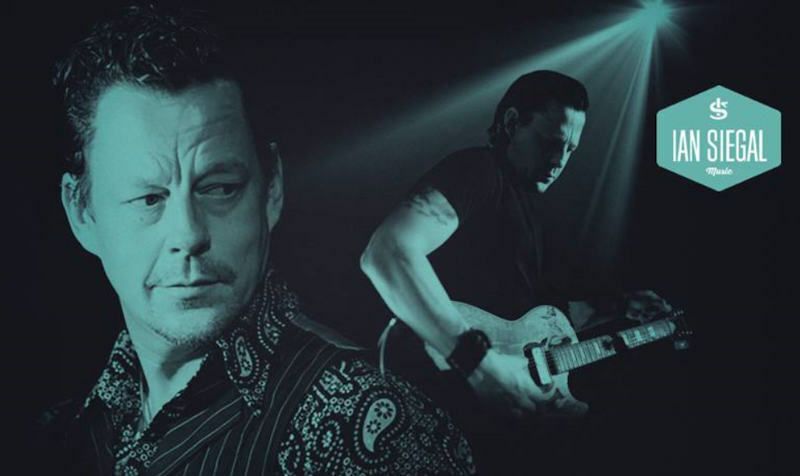 When Ian Siegal received the accolade of MOJO Blues Album of The Year (’09) for his Broadside album, it was the first time for a non-American artist; and when his 2011 album The Skinny was nominated for a Blues Music Award in the contemporary album category, it was the first time ever for a British artist in this category. The Blues Music Awards – made annually in Memphis TN – are the blues Grammys. Siegal’s forte is playing to an audience. He takes command of the stage in a way very few artists alive today can match. Sweat, passion, humour, balls-to-the-wind slide guitar and a soul-infused voice big enough to fell trees! It has won him an ever-growing following of fans and a horde of female admirers. His career got under way in 2003/04 with two successive European tours as the opening act for ex-Rolling Stone Bill Wyman’s Rhythm Kings (Wyman also invited Ian to record with the Rhythm Kings). This was followed by UK tours as a duo with Big Bill Morganfield (son of Muddy Waters). During this time Siegal was also capturing the hearts of audiences in Holland, Belgium, Austria and Hungary. In 2005 he topped the Soul/Blues/Jazz charts in Holland. 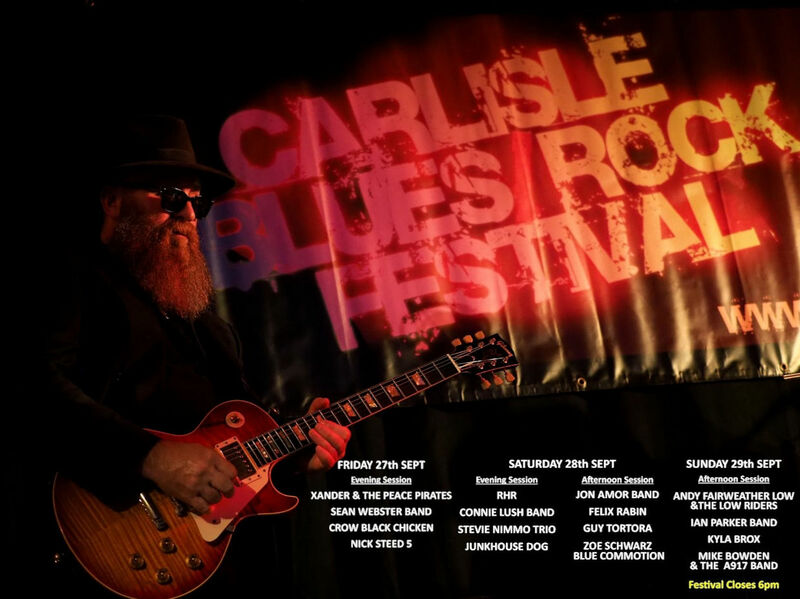 His 2005 album Meat & Potatoes has been universally praised and gained a maximum four star (excellent) rating in the Penguin Book of Blues Recordings – Ian is one of only two living British Blues artists to gain this distinction. Meat & Potatoes has since been re-released as a double disc pack together with a DVD of his stunning performance at the North Sea Jazz Festival, where he played the main stage as one of three UK artists (the others being Jamie Cullum and Joss Stone). That was followed by Swagger his 2007 release, which again received universal praise, “No less of a testament to the talents of one of the most innovative, gifted and engaging blues performers on the planet today.” MOJO magazine ranked Swagger as their no.2 Blues album of 2007. Siegal is equally accomplished solo as he is fronting his band. In response to fans requests for an acoustic album The Dust was released at the end of 2008. A collection of new songs and some old favourites (with noted pedal steel guitarist B.J.Cole appearing on a few tracks), the CD quickly entered HMV’s roots chart, and again made No.2 in MOJO magazine’s Blues album chart – this time for 2008. His Oct 09 release Broadside, an album that is selling in more than 20 countries, finally gave Ian the top spot in MOJO’s annual Blues album chart. Siegal’s May ‘11 release The Skinny is an album recorded in north Mississippi with Grammy nominee Cody Dickinson of the North Mississippi Allstars as producer. A band was assembled from musicians in the area including Gary Burnside, Robert Kimbrough and Rodd Bland, all offspring of notable bluesmen. In the summer of 2011 Cody and his North Mississippi Allstars partner and brother, Luther, joined Ian for a festival performance in Belgium. Such was the chemistry that it was immediately decided to cut an album. Ian returned to north Mississippi in May 2012 to collaborate with a dream-team of local legends that he collectively coined The Mississippi Mudbloods. Joining Ian, Cody and Luther on the recording is Alvin Youngblood Hart. Ian first met Alvin during The Skinny sessions, when the Grammy-winning guitarist swung by the studio and ended up tracking some guitar and backing vocals. The end result of this session Candy Store Kid releases October 2012. While recording Candy Store Kid Ian interrupted recording to head into Memphis for the Blues Music Awards, where as a nominee for Best Contemporary Blues Album (The Skinny) he performed a set for some 1,500 guests at the awards ceremony. 2014 saw the release of two unplugged albums. Man & Guitar – a BBC live recording of Ian playing solo at London’s Albert Hall – scored MOJO magazine’s Best Blues Album of 2014 plus a host of other ‘best of…’ accolades. This was followed by The Picnic Sessions, which had been recorded some eighteen months earlier during a trip to the North Mississippi Hill Country Picnic. Ian hooked up with the Dickinson brothers, Alvin Youngblood Hart and Jimbo Mathus to record a relaxed, unrehearsed campfire-style album of new and revised songs. Ian toured the UK with Jimbo Mathus in November ’14 playing songs from The Picnic Sessions, receiving rave reviews for their mix of acoustic blues, country, and repartee. Not content with two albums in a 12-month period, Ian made it three with the release of One Night in Amsterdam in March 2015, a live recording cut at the North Sea Jazz Club. This marked his first live album with a band and also his first recording with the new band of Dusty Ciggaar, Raphael Schwiddessen and Danny Van’t Hoff. Ian has become established in Europe as one of the most natural, exciting and vibrant talents on the scene today. Each year the stages get bigger, but what sticks most in Ian’s mind is his guest appearance with then 92-year old Pinetop Perkins and some of the other remaining members of Muddy Waters’ band. This was at London’s Jazz Café in 2005 to a packed house. Then later at a festival in Norway, in a role reversal, these legends of post-war Blues spontaneously joined Ian on stage for what turned into a memorable hour-long set. In a new twist to his career, Ian has performed for several years with France’s Orchestre National de Jazz in a program of Billie Holiday songs entitled “Broadway in Satin.” Backed by a 12-piece orchestra of young hand-picked musicians and accompanied by the French singer, Karen Lanaud, Broadway in Satin has performed at major festivals across France and as far afield as South America and east Africa. In 2018 he is touring with a new album ‘All The Rage’, his first studio recording of new songs in six years. Produced by American Jimbo Mathus, it is classic Siegal: full of the dark and light, clever word play and rough-hewn voicebox he is known for. It also marks the first studio recording with the band he hooked up with in 2013. Frequent touring has evolved a distinctive sound featuring Dusty Ciggaar’s tex-mex infused guitar licks.